Original Art Studio: Have You Been Seduced By The "Law of Attraction"
Have You Been Seduced By The "Law of Attraction"
So often these days we see books, hear authors, inspirational speakers, celebrities speak of how our thoughts can produce our reality. They say that if we think the right thought, repeat the right affirmation, set the right intention we can set in motion an energetic, magnetic field that will certainly attract whatever we desire. Of course there are laws of attraction in the universe, but do they really apply to our personal wants and desires? To achieve our goals, we do have to know what we want, we do have to have the intention, however, we must also educate ourselves, gather information, problem solve, network, prepare, be alert to opportunities, and above all be prepared to work toward our goals. Yes, if we are always thinking negative thoughts our life will not produce as good results as when we are more positive. Of course, if we think on our goals, our antennae will be more open to the opportunities afforded to us to advance them. Certainly, it is good to have a vision for what we want out of life. It is when it tips over into magical thinking that we can set ourselves up for disappointment. To think that by just wanting, intending, thinking we will attract the things we desire, is a faulty hope that leaves many disappointed. Of course, when disappointed the so-called "manifesting" experts place the responsibility for the failure at the feet of the person intending/attracting, not the "technique". They insinuate that perhaps you have not cleared your mind of negative thoughts, perhaps you have not worded your intention or your affirmation properly, perhaps the universe has a "different timing" for the fulfilment of your desires. 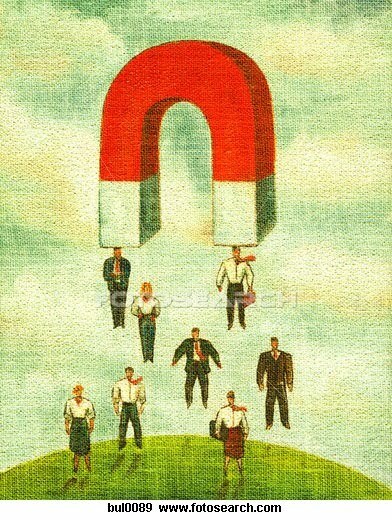 People thus beguiled with grandiose hopes of creating any reality they choose, end up feeling like they are failures wondering why the "technique" works for others but not themselves. Secretly it affirms their deepest fears of not being worthy. "Well perhaps I just need to purchase another book - perhaps this author will explain it in a way that will allow it to work for me". Unfortunately, this is a sort of perennial false promise that every generation gravitates to, wanting to believe they have the key to abundance, health, love, satisfaction. It fits with our narcissistic tendancies to believe that we are special and that if we just have the secret to connecting all the dots the universe will work on our behalf. Think of how every generation has their own group of promulgators who get rich off of re-constituting this theory. This, however, is a primitive (child-like) form of thinking. It is called magical thinking. It is so easy to fall prey to . . . and it is difficult to disproove, so there is always another author out there telling you how they just thought the right thoughts and all their desires were manifested. They are preying on your fears and your hopes. Magical thinking: do you remember the little song we would sing while walking down a sidewalk as children? "Step on a crack, break my mother's back." In our primitive, primary process, magical thinking, as a child, we believed that if we did this - we would produce a result - good or bad depending on where our foot landed (or the thought we think). If we do not develop more mature thinking abilities, we set ourselves up for failure and disappointment - because truthfully our thoughts do not command the energies of the universe. We have the evidence all around us. For example, did those good people on Flight 93 that eventually crashed into the ground in Pennsylvania not have the very firm intention to thwart the deadly plans of the terrorists? Did the universe feel the terrorists intentions were more worthy? Can you not imagine the prayers and supplications and focused intent going through their minds at the time, but that seemed to not exercise any force anywhere except perhaps in the hearts of their loved ones. But once we buy into the magical thinking - we ignore or become blind to the evidence all around us. Did none of Madoff's victims have intentions to build wealth and attract abundance? How many soldiers, now dead, intended to keep living and create a life for themselves? Do the homeless, the abused, the hungry, the sick not want to attract better living conditions for themselves? Has the Dalai Lama, who has knowledge of and access to Tibetan wisdom, not learned about this law of attraction if it really exists, about how to manifest goals? If he does use these techniques, why has he not been able to free Tibet from China with just his intention? Why he could enlist the intention and visualization skills of the whole population of Tibet! If people can manifest wealth, why could he not manifest peace? "Magical thinking is the belief that your thoughts, words, or actions can have a causal impact beyond normal cause and effect--for example, believing that crossing your fingers will bring good luck, wishing bad thoughts on someone could make them sick, or the odd rituals a baseball player runs through when he goes up to bat. In today's New York Times, Benedict Carey explores the psychology of magical thinking. New research suggests that magical thinking is surprisingly common because it helps people deal with stress, boost confidence, and overcome feelings of helplessness. Too much magical thinking though can be bad news though, say, for those who suffer from obsessive-compulsive disorder. Children exhibit a form of magical thinking by about 18 months, when they begin to create imaginary worlds while playing. By age 3, most know the difference between fantasy and reality, though they usually still believe (with adult encouragement) in Santa Claus and the Tooth Fairy. By age 8, and sometimes earlier, they have mostly pruned away these beliefs, and the line between magic and reality is about as clear to them as it is for adults. It is no coincidence, some social scientists believe, that youngsters begin learning about faith around the time they begin to give up on wishing. “The point at which the culture withdraws support for belief in Santa and the Tooth Fairy is about the same time it introduces children to prayer,” said Jacqueline Woolley, a professor of psychology at the University of Texas. “The mechanism is already there, kids have already spent time believing that wishing can make things come true, and they’re just losing faith in the efficacy of that...."(In recent experiments at Princeton University.) researchers demonstrated that young men and women instructed on how to use a voodoo doll suspected that they might have put a curse on a study partner who feigned a headache. And they found, similarly, that devoted fans who watched the 2005 Super Bowl felt somewhat responsible for the outcome, whether their team won or lost. Millions in Chicago and Indianapolis are currently trying to channel the winning magic.“The question is why do people create this illusion of magical power?” said the lead author, Emily Pronin, an assistant professor of psychology and public affairs at Princeton. “I think in part it’s because we are constantly exposed to our own thoughts, they are most salient to us” — and thus we are likely to overestimate their connection to outside events. The brain, moreover, has evolved to make snap judgments about causation, and will leap to conclusions well before logic can be applied." 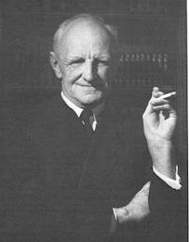 Noted child psychoanalyst, D. H. Winnicott, M.D. referred to a form of pre-verbal magical thinking when the infant believes his wish for the object (breast) creates the object (when the mother arrives for the feeding). He called this the "moment of illusion". We, too, can be caught in moments of illusion if we think our wish, or intention, or affirmation of the desired object will manifest or create said object. Have sooth-sayers, masters of illusion, pop psychologists, celebrities caught you in this illusion? It is difficult to avoid. It has become part of the vernacular, the so-called "law of attraction" - "affirm and you will realize, intend and it will manifest, visualize and it will be yours . 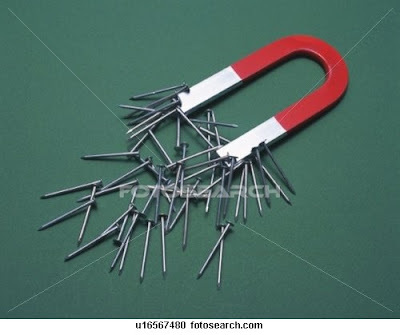 . ."
So these "law of attraction" authors and proponents, that are making money off of your desire to do well in life, are using our common inclination to engage in magical thinking - to believe we are more powerful than we really are - to believe what we intend has to be realized. They get away with it because this is a normal tendancy, and we are all ready to take the easy way, to believe we can control the energies of the universe, rather than having to set our intention to plan, prepare, work, wait, overcome obstacles, endure set-backs and disappointments, problem-solve, try again, etc. They encase their promises in a spiritual light so not only do we think we can attract whatever we want, we also think we are on a more spiritual path if we so do. In effect, they are confusing mystical with magical. They want you to think you will be operating on a mystical level of consciousness, when in effect they/we are only operating on a child-like, magical level of consciousness. Ken Wilber, Ph.D. author of at least 25 books on psychology and consciousness describes this as the "Pre/Trans Fallacy". Let me explain. According to depth psychology the ego is the "personal" level of consciousness. We begin to work on ego development in our preadolescence and if things go well, we should have developed a fairly strong ego by the end of our teenage years (the "personal" ego). Our ego helps us to evaluate the choices before us, make decisions, stay safe, be appropriate in the world. Before an ego has developed in a person is the period known as the "pre-personal" level of consciousness. It is in the pre-personal level of consciousness, while we are very young, that we engage in magical thinking. pre-personal (magical); personal (rational); trans-personal (mystical). The problem is that when we get hooked into believing our thoughts can create our reality, we are led to believe that we are engaging in trans-personal, beyond ego, spiritual, mystical forms of thought. But in reality, we are caught in pre-personal, child-like, grandiose, narcissistic, magical thinking. Oooops. Magical thinking does not work - we did not break our mother's back when we stepped on a crack. Neither will we win the lottery by creating a vision board or visualizing ourselves receiving the check. True spiritual and mystical thinking does not want to attract or manifest things - it is about emptying, it is about recognizing our basic non-dual nature, it is about being. Trans-personal thinking transcends selfish ego needs to have and do. Trans-personal consciousness is about simply BEING - about maturely entering the mystery, the mystical. It is not acquisitive. It does not want, intend, need, expect, affirm or visualize. It transcends narcissitic needs. It has no need to be grandiose - claiming powers to manifest what it cannot. Unfortunately, many have been led to believe they are operating at a trans-personal level of consciousness (spiritual/mystical) when in fact they are stuck in a pre-personal level of consciousness (magical) when they are trying to use the "law of attraction". Yes, there are invisible energies - myriads - of which we are only beginning to learn. Yes, research has shown that prayer for loved ones can produce effects. But have you ever noticed that where these things do manifest, the intent, the thing desired is almost always for others not for self. Or if one does ask for oneself it can work if one is asking for qualities such as strength, patience, love, etc. Once ego becomes involved and we are praying or asking for abundance or achievement - it seems to me that these mysterious energies seem to know you have left the trans-personal state of consciousness and entered the pre-personal, or personal, more selfish state of consciousness. Irvin D. Yalom, M.D., the great existential psychiatrist, says we often use forms of magical thinking to buttress ourselves against deep, primal fears of death, nothingness, and our fundamental aloneness. So there are very understandable reasons why we can get seduced into this. I will do a post soon on what Yalom says about this - and other interesting things. This is a lot to think about, I know. And I realize I am touching on some "sacred cow" concepts here and that some of you will disagree. I look forward to ALL your comments and a lively discussion. Wow! I believe you will have some lively discussion about this post. It is so well-written and thought provoking, and yes, it definitely does not coincide with many people's ideas of "magical manifestation," new-age thinking today. I do agree with you in this post. It is so very important to live our lives in the best way possible, to hope for good things, to do good things in the world...and even with all of that, many times life will disappoint us. It is just life. I have believed and wished and dreamed for many things that have not come to fruition yet in my life. I hope someday, they will. To live with hope is a good thing. Hoping and wishing does not make it come true. I believe we all have a destiny pre-ordained by God, and I believe all things can be used for good, to make us better, stronger people. For me personally, I believe I am in God's hands...no matter what happens, it's okay, I will continue on, I will create my dreams, I will have hope, but ultimately it is not up to me, it is up to my God...That, to me, is very comforting. I know everything has a time, a season, a purpose, and I trust God to see me through the dark places. I plan, I work hard, I dream big...all necessary and essential. In all things, dark places and light, God is with me and He will see me through. Thanks for such a great post, Bonnie! You have given me so much to think about! I love that! How true. We must dream - we must have hope. And sometimes our hopes and dreams can create a path that leads us to even brighter and better surprises. I'm glad you comment and extend the conversation. That's what I want is a great discussion in the comments. The commentary after the post is the best part! So thank you for getting it started! Oh yes! You certainly touched the "sacred cow" alright..I will be interested in reading the posts. I personnal agree and disagree.. there is logic and alot of researched information you have added here...and I had a friend that not all the self help books or positive thinking excercises could save her from her disease..and blamed herself for not..doing enough..to make it go away..I questioned the concept of intention in her case often...but there is an underlining thing you missed that is an invisable force behind us all..besides individual choice we have something I call ones "destiny" one's path..Some of us believe these paths are lessons..personal lessons we all must learn...nor all you intention or positive thinking can change that..This is my personal belief..sometimes we can change things ..with magical thinking as you call it..because that was our path... other times you can' not...because the path needs to be taken regardless...I hear you...not a very logic and scientific belief ..but a very heart/soul felt belief none the less...There are things in this world that are not visable and can not be understood but they do exsist! Don't disregard your magic! A lot of food for thought here. I believe in the power of positive thinking. Especially when it comes to healing. But I know there are people out there, my own family members included, who those good thoughts and still died of cancer. So. I don't know. But as far as thinking positively to win the lottery? Not so much. I think if you think positive about reaching goals, you're more apt to gain those goals - like losing weight, changing jobs, etc. I hear how important the belief in destiny is for you. I just wonder how people who live less privileged lives, whose lives are a lot of struggle and deprivation - how do they feel about destiny - was it their pre-ordained destiny to have such hard lives? The self-blame you mention is another huge factor for me. People who get ill and are confronted by others about "why they attracted this to themself" - seems so hurtful. And then while you are so ill and cannot control your destiny to feel guilt that you can't - that is added torture. Thank you so much for expressing yourself so honestly, I really appreciate it. I agree. Life is so much better when you can be generally positive - while still being authentic. But people who believe they can manifest the things they desire are not just engaging in positive thinking. Yea, if we could win the lottery by visualizing it, we'd all be winners! For many years I turned my back on any beliefs for that very reason..."people born into hard lives and why" I found that it made no sense no logic when all this senseless misery surounded us..ALL thru our world History the story was the SAME!.. the haves and the have nots...the lucky and the unlucky in life...I asked myself why has it always been like that?? Is it random? Is this planned?? Are there influences outside our comprehensions that are in force...I guess the way you answer this depends on your personal belief system...or what is going on in your life at the moment ,will also shape the answer...when faced with losing a loved one..no confort can be found talking about destiny and lessons..I know that for a fact... but I wonder.. in the larger scheme of things...how our lives figure into that larger scheme ...I have a good friend that believes there is no scheme.. we live we die and thats the end of us...nothing more...but what if there is more??? what could this one life really mean if there is more??? I do agree with you wholeheartedly about the "attracting this to yourself " My friend was very hurt by this..people who preach this ,and I have read books that state this... well lets just say this does not come from a healing and loving place..but a very self rightoues place. How can anyone assume to know everything about a persons path . I thank you for bringing up this very complex subject..that has so many levels.its always good to hear other peoples perspective ...sometimes it strengthens our belief or broadens them! I believe in the law of attraction only in that what we focus on DOES indeed get bigger and bigger in our lives. And, I do believe that when we dwell in the negative all the time, we tend to make decisions and choices which reinforce our need to be validated and right. (See? I told you nothing good happens to me!) Hence, I believe that there are people who are able to manage their lives, and those who life happens to. In my life, I fully subscribe to the belief that I cannot control what is going to happen in my life, but the one thing I can control is how I respond to it and how I let it affect my life. ALL within my control. Now, this whole "prosperity gospel" mindset, is bizarre to me. People who want to try and use this thinking to benefit themselves or become rich, successful, etc. are being fully misled and ARE engaging in magical thinking. It is a complex subject and one that we all must grapple with on some level. Trying to understand the "whys" and "wherefores" seems to a universal need. I think most art is an effort to seek or provide answers. You ask some very important questions. Important points you make - all. Delwyn: Yes, always grace. That makes me think of another interesting topic for a discussion - how people define grace and how they have experienced it in their lives. This is a great post Bonnie. I love dreaming but I believe nothing beats the power of the hard work and persistence..
Turquoise Diaries: Thank you for reading and commenting. Yes, a life without dreams would be barren indeed. But as you say, there is a time to get up and do the hard work of living. Bonnie, Yes, this topic has been on my mind lately, too. And I can't help but agree that there is an element of elitism involved in the concept. Obviously, it's easier to believe in this stuff on the other side of succsss and narcisistically believe that we somehow believed good things into happening. But for the same reason that I don't believe 'God' desties bad things to happen to good people, I believe that this kind of magical thinking can dangerously affect the ability to have hope. Because if you believe that after all of your trying that you still fail, then surely there is only one person to blame. And how do you fix that after you've tried so hard to succeed, done the work, walked through the doors? So for me, I'm stopping the blame. And moving forward with what's in front of me. Thanks for this post and discussion. It's really clarified some things for me, Bonnie. Oh my, the scope of this topic is so vast! You make many relevant points. I do believe it takes more than "thinking" positive to attract good fortune into your life. But I also believe that our thoughts can direct our behaviors that put us in a better position to receive positive blessings. And then there is the matter of both grace and miracles and where your religious beliefs enter into this. I am being reminded of "The Shack" and where the ego fits in with the concepts of good vs. evil and why bad things happen to good people, i.e. suffering and illness. Great thoughts and insights and so much more to be added here! Thanks Bonnie! Love your site, and will be following. Thanks for visiting coachyourmind... much appreciated. We must have a specific mental picture of what we want for our lives, or for others. We can't just walk blindly into the future and "hope" things will just happen for us (or others). When we get in our car, we have a specific plan of where we want to go (hopefully)... if we didn't, we'd drive around in circles. SAME FOR OUR LIVES! The problem w/ The Law Of Attraction, as it was presented in the Secret, is that ACTION wasn't presented also. Massive action is the most important part of this equation... w/out it, it does just become "magical thinking." I can tell you from personal experience, though ~ if we do focus on all the negative in our lives, or potential negatives... we won't move forward (I'm sure you'll agree w/ that point). Making people think, though, that all they need is one single thought to "make their dreams come true" is false hope. They DO need that thought, visual, and strong emotion linked... but they also need to take action to achieve what they desire. Barbara: I'm so happy you found the post helpful. I find your point about blame helpful. It gets us nowhere to blame ourselves when things don't work out. Extract the learnings - ask, 'how would I do it differently next time' and as you say 'move forward with what is in front of you'. Certainly all the great minds, inventors concur that their mistakes were the best teachers. If we are caught in blame, we could miss the learnings. Vicky: I haven't read The Shack in spite of all it's good reviews - just didn't get to it. I'll have to check it out. You're right, this is a big topic and so many issues and values come into play. Thanks for sharing yours. Dayne: Thank you for visiting and commenting. I liked your site too - that's why I'm following! I don't disagree with any of your points. We do need a mental vision of what we want to accomplish. What I and many others disagree with is that vision or intent can control the vast energies of the universe. Yet that is what this new agey theory is telling people. I agree with this. You said it all so well, I have nothing more to add. I think that it's all about paying attention- great example of this is: my friend who is working class poor (mentality) continually stuggles, can't spend this , can't spend that, don't have enough never will- blah blah blah- I slipped a hundred euros into her purse while we were in Venice because she was limiting herself to that which was free- breathing- and was becoming quite a drag...Damned if she never did see that cash even though it fell out of her bag a couple of times and she stuffed it back in without even noticing...She never did see it- I finally had to tell her that she had more money than she reckoned and that she could SPEND it- she did not, "Can't spend that!" Is she getting what she thinks- her focus-well, yeah, but it is her lack of attention making it so. But, but, I'm counting on manifesting a huge lottery win for my retirement, Bonnie! Now, there goes my entire retirement strategy! Robin: Thank you - come again. Yes, so many of us do that - put a cap on the extent of our reach or abilities, or deny ourselves permission to have, make or enjoy money. How am I limiting myself and my life? Am I denying myself permission to live fully? How might I be unconsciously punishing myself for past wrongs? Barry, Barry, Barry - thank goodness you arrived! This post and its comments desperately needed someone with a sense of humour!! Thank you.